My name is Anna Ciolina, I’m 29 years old and and live with my husband and kids in the Netherlands (Rotterdam). We have two kids: Stella (6) and Harry (2). Do you work alongside motherhood? When Stella was born I stopped working. 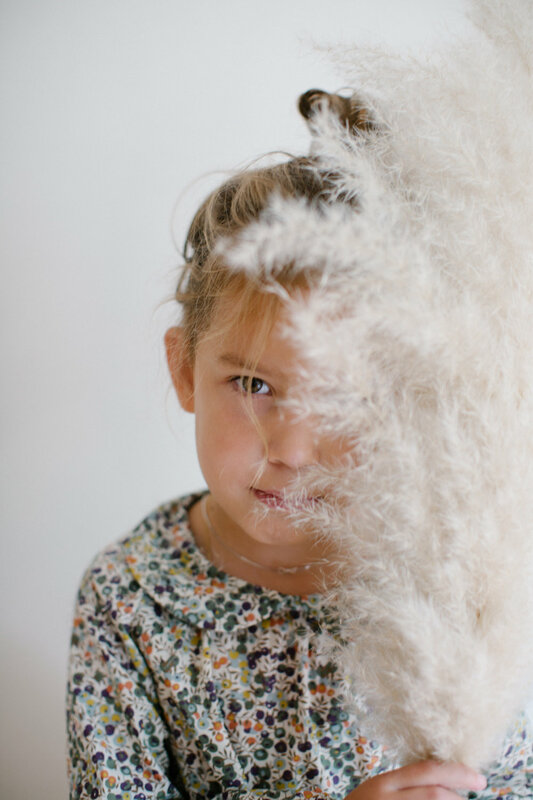 Whilst I was pregnant, I had planned to go back to work when she was 3 months old (like all mothers here in the Netherlands) but when the time came, it felt so unnatural. She was so little, we had only just got the hang of breastfeeding and I thought, this time with her I can never get back. So eventually I quit my job. It was so lovely being at home the first two years, taking care of Stella, and I started to work on my love of photography. This turned into my job and I love that I’m now able to be home most of the time and make money with something that doesn’t feel like work! It means enjoying the slow life. 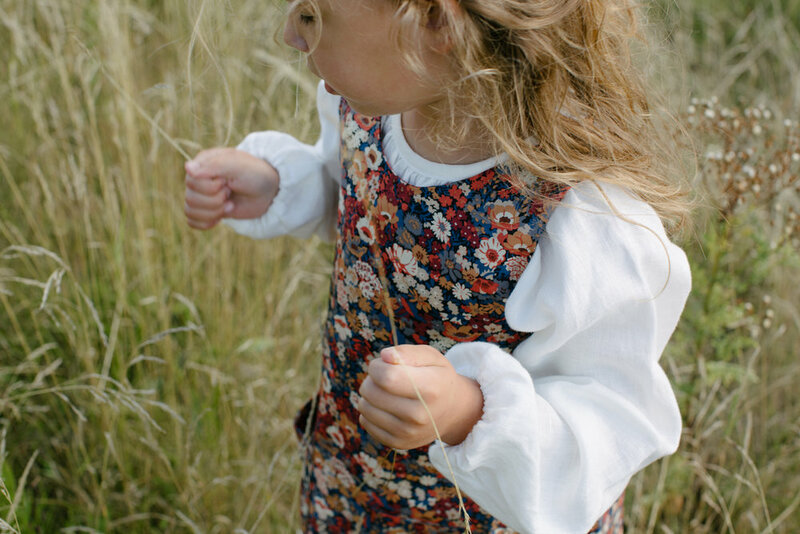 Enjoying the little things together, going on adventures in nature and seeing them explore and grow. Trying not to rush because the house needs to be clean, but to let Harry carry the groceries home (although it takes 4 times as long, haha). What’s the most rewarding and the most challenging part? The most rewarding is to see them enjoy and have fun just being kids and it reminds me about my own lovely childhood. Playing in the rain or seeing Stella having the courage to buy some groceries alone and come back with a big smile... She was so proud! With that comes the challenging part: giving them space to grow and learn these things. Paint us a picture of daily life as a mother in the Netherlands? In the morning we start with breakfast: usually yogurt and during the summer holiday Stella got really into making juices. Harry is going to school when he is 4, so he is home with me most of the time. This means that in the morning we bring Stella to her school by bike. It’s a Rudolf Steiner school so they have a lot of outdoor activities. Usually Harry and me will stay and play outside or go to the farm to see all kinds of animals. We lunch together and Harry has a nap, then it’s time for me to work and after this we will pick up Stella. We relax and play at home until it’s time to make dinner and after this they have a bath and go to bed. Is there anything passed down from your mother that you’ve taken on as a parent? Just like my own mother, I also became a mom when I was fairly young. I think this has led to me being a very relaxed mother (just like my own mom). I have 3 little brothers and 1 big sister, so we come from a home with a lot of siblings and we are all very close. I also would like this for my own children. 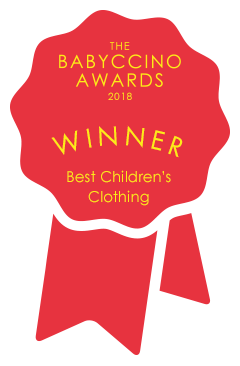 What do you look for when choosing clothes for your children? I like to avoid the big stores. There are so many creative makers and sellers that I don’t find this hard at all. Instagram is great for this! What do you like about Nellie Quats? What’s your favourite piece from this collection? A big thank you to Anna for sharing her lovely life with us and also for the sweetest photos of her Stella. Find more of Anna’s work on her Instagram account @anciolina . She’s a very talented photographer! 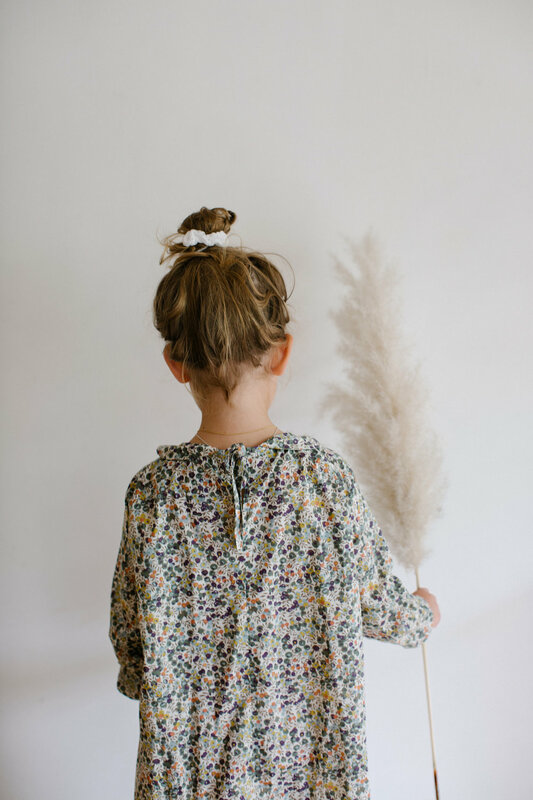 Stella is wearing age 5-6Y in our white Mother May I Blouse, layered with our Thorpe Tip Toe Dress, with a matching Thorpe Print Hair Bow. 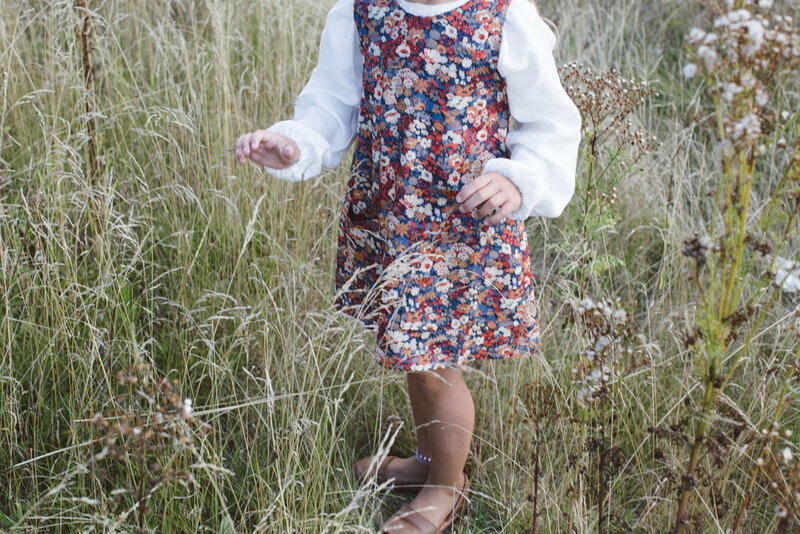 She also wears age 5-6Y in our Wiltshire print Duck Duck Goose Dress, layered over our burgundy Ribbed Tights.